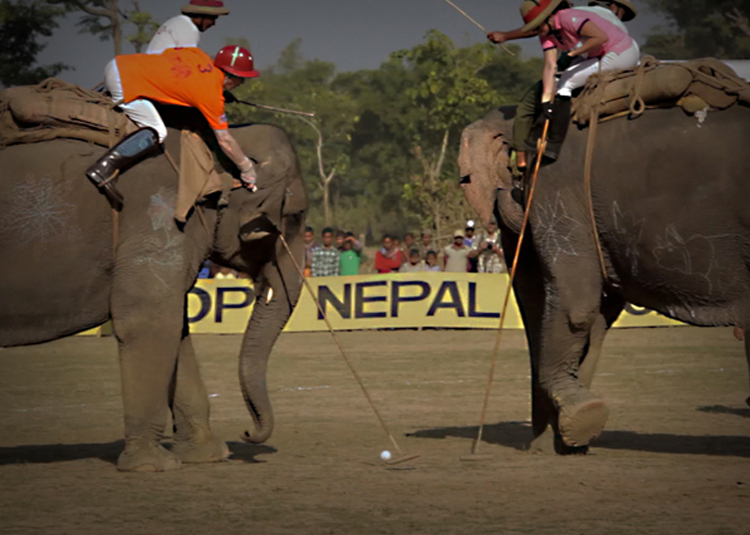 NAWALPARASI, Dec 3: The Elephant Polo World Cup use to lure the tourists from all around the globe which usually use to be organized on November but now the flow will never be repeated again. The elephant polo which use to be organized in Gundrahi River embankments will not continue from this year, the organizer Tiger Tops Hotel has announced. Last year the 35th Session of the event was organized. The organizer, Tiger Tops Hotel already has halted its service of Elephant Safari along with the Elephant Polo World Cup also comes to an end, Managing Director DB Chaudhary said. “In order to develop the Wild Life Tourism we have come to the conclusion that we will not organize the game which increases the stress upon the Elephant. As a part of it we already have stopped the elephant safari,” he said. The game which was initiated some 35 years ago have had attracted tourists from around the globe. The game also is held and showcased in various countries like: Thailand, India and Sri Lanka apart from Nepal. In its last season Rustry Khukuriz- UK, Galwaya Lodge- Sri Lanka, CIH ST Pal- America, Himalayan Tiger Foundation- Netherlands, Elephant Polo Gear- Ice Land, Eire Elephants- Australia and Himalayan Bank- Nepal had participated.